Check your credit report to see how much you owe in total. You cannot begin to tackle your debts if you do not know how much you owe. You will also need to know the amount of money you will have to borrow to pay off what you owe. You can contact a credit agency that will provide your credit report for a low fee. Do thorough research to ensure you choose a reputable debt consolidation company. Check that the company is registered with BBB (Better Business Bureau) and that it shows it has good business standards. Check the customers’ feedback on the company’s services as this will enable you to gauge its performance. There are non-profit companies whose main role is to help you get out of debt and not take advantage of your situation to make money. Be careful because there are other companies that claim they are non-profits but end up exploiting you. Get an appointment with a credit counselor so that your financial situation is fully reviewed. Make sure that you give honest facts about your finances to enable the counselor to come up with the best solution available to you. You will be required to submit some documents such as your tax returns so have them ready. Your counselor will develop repayment plan for you whose main purpose will be to consolidate your debts into a single repayment plan. After the credit counselor has reviewed your situation, a repayment proposal will be sent to each of your creditors. If your creditors accept your offers, you will make smaller payments to them. 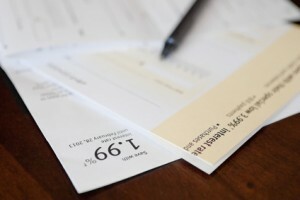 You will receive a schedule of the dates from your debt consolidating company. You will be required to make your payments to the consolidating company that will then pay your creditors. Ensure that you keep up with the payments to improve your financial situation. If you do not have enough money, you could look for other ways of making extra cash. You can do part time jobs such as baby sitting or online jobs or sell items you no longer use to get more money. Request a consolidating company to give you a loan if you have a good credit history. A debt consolidation program may not be the best option for you so have an alternative option. The consolidation company will review your income to determine if you qualify for a loan. Before settling on a specific company, check their rates and terms of payment. Choose a company with lower rates so that you can make the payments comfortably. You can choose to make your payments weekly or monthly. Once you have paid off the debt, be careful to not incur new debt. Change your spending habits and make your purchases using cash as opposed to credit cards. Pay more than the minimum amount to finish paying off your debts fast.